Since I have got such a great help with presenting SBB, I think I can leave the regular discography of that group in capable hands of my friends and start presentation of some more unusual discs myself. 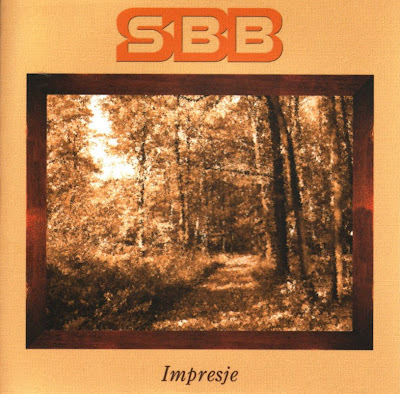 Yes, it sill will be the same group, SBB from Poland, but my next few torrents will present discs with unpublished material, recorded either live or for radio broadcasting during the years 1974 to 1978. This material has become available only recently when the 9-CD box set titled "Lost Tapes, Vol 1" was published last year. "Previously unpublished" doesn't mean that this material is worse than their regular albums. Quality of some recordings may be a bit inferior, but everything was carefully remastered and I hope you will enjoy these discs the same way as you do (I hope you do, don't you? :D ) enjoy the "regular" albums presented by my friends. So, let's start with the first disc in this series. The music contained on this disc was originally recorded in January 1975 at the studio of Polish Radio Katowice and was intended to be used by the film production company (WFDiF, Warsaw). Some tracks, or even some parts of some tracks were used for various films, usually as a background music or somewhat hidden behind dialogue. However, these tracks were never published in their entirety, the way they were recorded.